Needing an experienced swimming pool repair and renovation expert in Alpharetta GA? You’ve come to the right place! 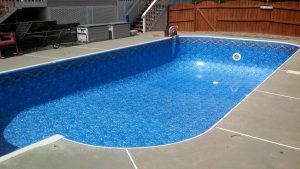 Paradise Pool Services, LLC has a long track record of providing top notch pool services in Alpharetta for over 3 decades. We’ve replaced thousands of pool liners in Metro Atlanta and North Georgia, many of these were for our Alpharetta swimming pool customers. Over the years we developed special relationships with the manufacturer’s and suppliers we deal with, allowing us to get the best quality products at the best prices. We then pass on the quality and savings to you, the customer. Call us today to schedule your Free poolside quote. We look forward to hearing from you soon.